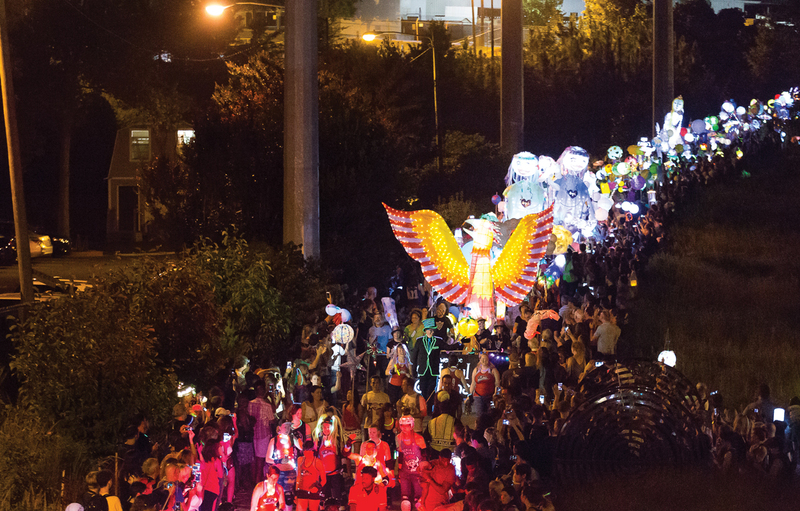 Details: Atlanta’s beloved BeltLine Lantern Parade is back for a seventh year. More than 70,000 people participated last year to watch as the night lit up with thousands of illuminated inflatables, signs, and lanterns while bands lined the trail. Details: Atlanta’s electronic dance music festival is bringing major headliners, including Armin Van Buuren, Bassnectar, Kaskade, RL Grime, and more. The festival comes with more than just music: participate in workshops for arts such as aerial yoga, watch circus acts, jump in the splash pool, or spend a few nights at designated camping grounds. Details: Kathy Griffin has been a controversial figure ever since a photo of her holding a fake severed head of President Donald Trump emerged online last year. Now, the comedian is discussing that controversy head-on in a two-hour show where she’ll talk about pop culture, Trump, and the photo that set off a media storm. Details: Cyclists are taking over southwest Atlanta. The Atlanta airport district is turning city streets into a biker’s paradise as dozens of races will be held each day for any level of rider—East Point on Friday, Hapeville on Saturday, and College Park on Sunday. The event isn’t only for racers; spectators can join seminars, watch BMX freestyle, shop arts vendors, listen to live music, and even attend pub crawl. Details: Claiming to be the largest anime convention on the East Coast, cosplayers and geeks are coming together to celebrate everything anime and Japanese culture. Voice actors such as Micah Solusod, Matilda Smedius, and Kira Buckland will be at the event, which will also include plenty of video games, tabletop games, and a large library of almost any manga you can think of.